It went off so smooth, we never realized when it was over; thanks to all the participants, volunteers and spectators which made the event. With an addition of Olympic Distance and moving the Triathlon to Open Waters to outskirts of the city, we were little apprehensive about the participation as many had fear of Open waters, few had apprehensions about cleanliness of water etc etc, but having tested the water and arranging for Practice Swim a week earlier removed all apprehensions and to our surprise it became an International Event. We had participants from Scotland, Germany, Italy, Russia, Canada, Israel and others apart from Hyderabad, Mumbai, Chennai, Satara, Bangalore and many other places across India. 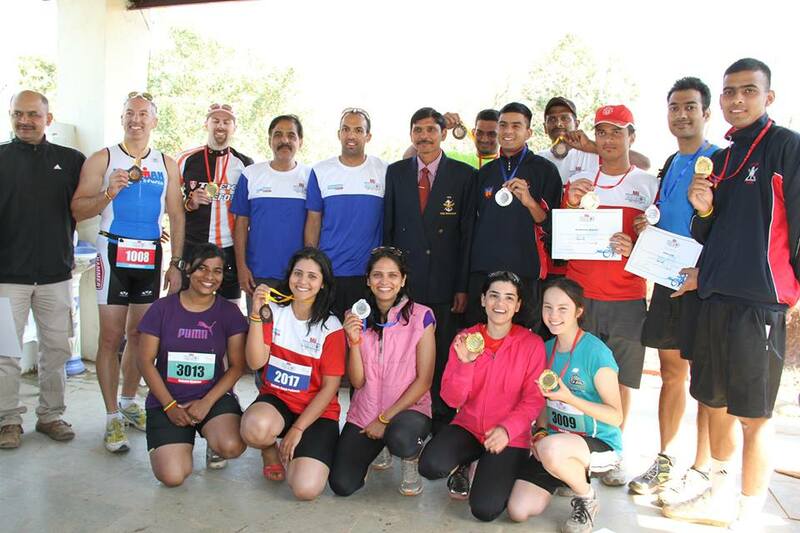 Event had three categories for Men and Women – Olympic Distance, Sprint and Novice. Youngest participant was 11 years old – Master Rohit Dewal, who cut the cake at the Finish line to celebrate the event. Though the route for cycling and Running went through hills and made it a tough course, testing everyone’s endurance; everyone enjoyed the ride and had satisfaction on their faces at the Finish. Potential always existed here but for the platform and opportunity. We look forward to take participants to new heights when it comes to next event… Await announcement ! Happy Swimming – Cycling – Running !